Is it already almost April? This year is zooming by! 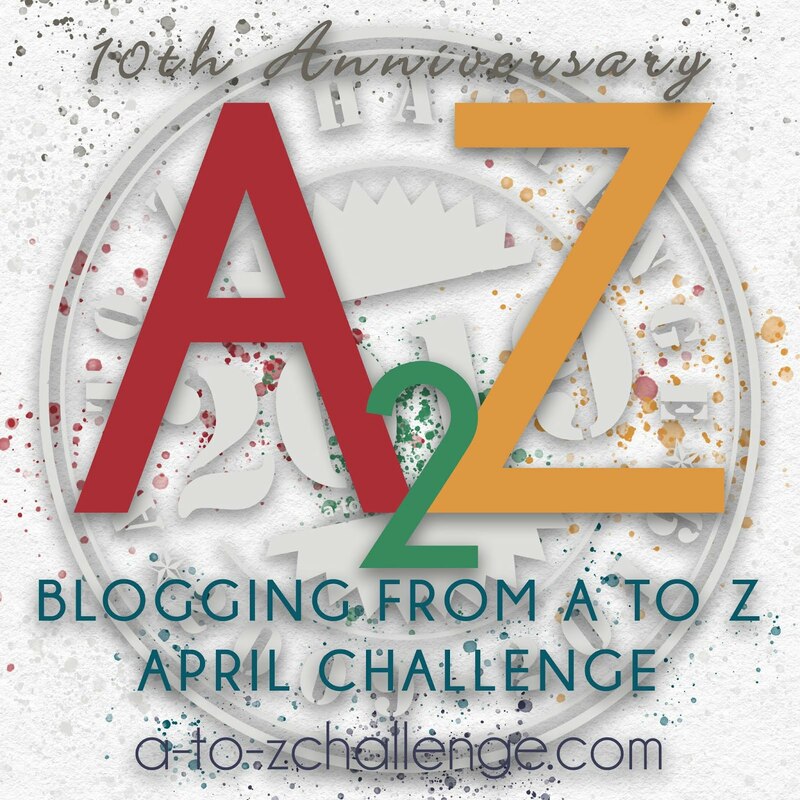 April, among other things, is the A to Z blogging challenge, which asks bloggers to post 26 entries in April (one for each day, minus Sundays) corresponding to the letters of the alphabet. This is the most fun, in my opinion, when people choose a theme to explore. 2018: Poetry! posts about some of my favorite poets. All of these have been a lot of fun to write, and participating has built my circle of friends, readers, and colleagues. So, of course I'm back to play along again, here in year 10. So, what are we up to this year? I'm writing letters to dead writers. There are a lot of writers who have been important to me across my life and it's too late to meet some of them in person, but it's not too late to express my love and appreciation. See any favorites in that list? Did you think of some you're surprised I didn't choose? I'd love to hear your thoughts in the comments! Great theme. Some of your authors are old-time favorites of mine. Good luck with the challenge! Great theme. I'm curious to what you will say to them. What a fantastic theme! Very unusual, but i see a lto of potenciality there. Both about exploring the author's work and pointing out a mor personal read of it. Can't wait to read you! I've read some great stuff about Mary Shelly lately. This sounds like an intriguing theme. Glad you're taking part this year. I love this theme! I've really enjoyed reading the two you've posted so far. And I'm super impressed you're still doing the challenge! Hooray! Guest Post: Jordan Elizabeth's New Release! White Hat, Black Hat, or Something in Gray?